Providing immediate health care access to India’s working poor. Thank you for your interest in the Soondra Foundation. 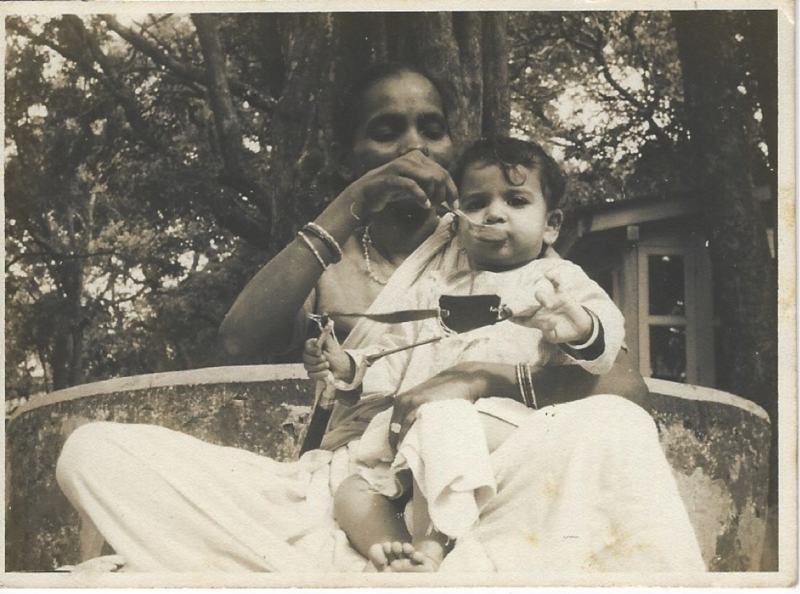 Soondra feeding me on vacation in the hills (I’m around 9 months old here). In Mumbai in the early ‘60s, Soondra was a young, illiterate, childless widow at a time when there were few options for women like her to earn a decent living. They were often ostracized because people believed they brought “bad luck.” Determined to escape poverty, Soondra chose to become a household helper and started working with my family before I was born. My family knew her as an honest, hardworking and sincere lady with a ready smile. 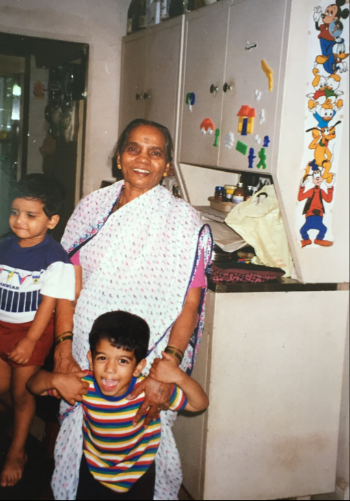 To me, she was the most loving, affectionate and doting nanny; a beloved member of the family who embraced my brother and me as her own children. She even saw our own kids before she passed in August 1999. To this day, she is my inspiration— and the inspiration for my nonprofit, The Soondra Foundation. After completing my training as a physical therapist in Mumbai, I came to the United States about 30 years ago as a graduate student. Since then, I’ve worked in Iowa, Australia and Chicago area in the clinic and as a researcher and professor. While I absolutely loved serving my clients, lately I haven’t been thrilled with the administrative duties that have crept into the role, and I started looking for a new career path. In November 2016, while visiting Mumbai, my mother’s maid’s toddler fell, fractured his skull and got a concussion that required hospitalization. After returning to Chicago, I realized she had a bleak choice: Pay an amount equal to two-month’s salary or not receive care for her child. It made me think of Soondra— people who are working and managing with their daily expenses but have no rainy-day savings for medical emergencies. In November 2017, I started the Soondra Foundation. My goal is to help India’s working poor by providing them with small amounts of money by U.S. standards, but amounts that have a big impact when they face a medical emergency in India. Please join us as we work together to provide a safety net for the Soondras of today.